Believe it or not Valentine’s Day is just round the corner. If you haven’t found love yet or your relationship could do with a bit of romantic touch, don’t panic. 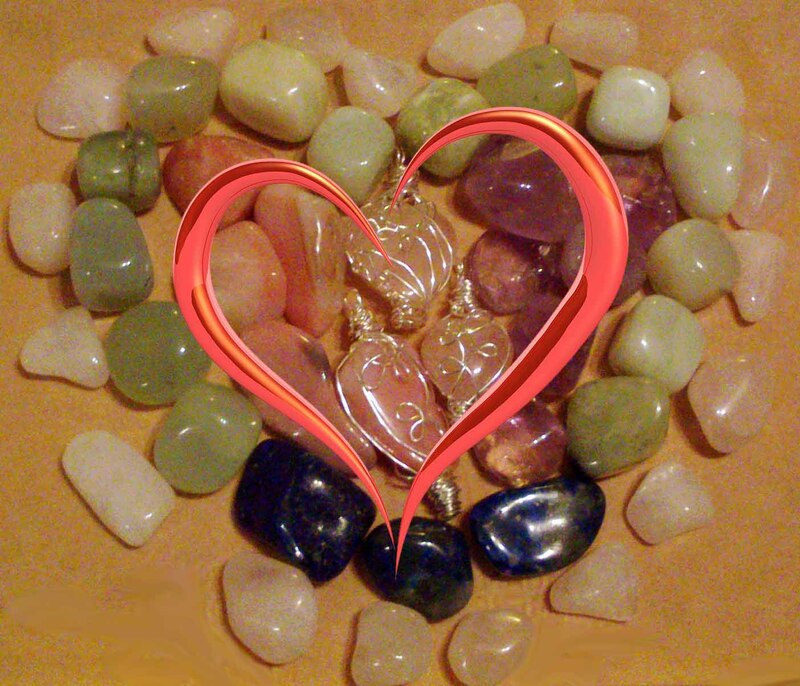 Healing crystals can help you to attract love or reignite your relationship. How? Although crystals are not considered as living creatures they have the ability to draw in energy, hold it and release it, when stimulated the right way. Crystals gain their energy from the sun and other planetary sources and from each other, when growing in crystal beds. As the sunlight passes through them they absorb most of the light rays, but some will be reflected, giving the colour of the stone. The more luminous a stone the more evolved it is if you like. Each stone is tuned in to a particular ray so they can help us on different levels, such as physical, emotional, spiritual. Each crystal has its own speciality. Let’s have a look which crystal could help you bring a bit of magic into your life. 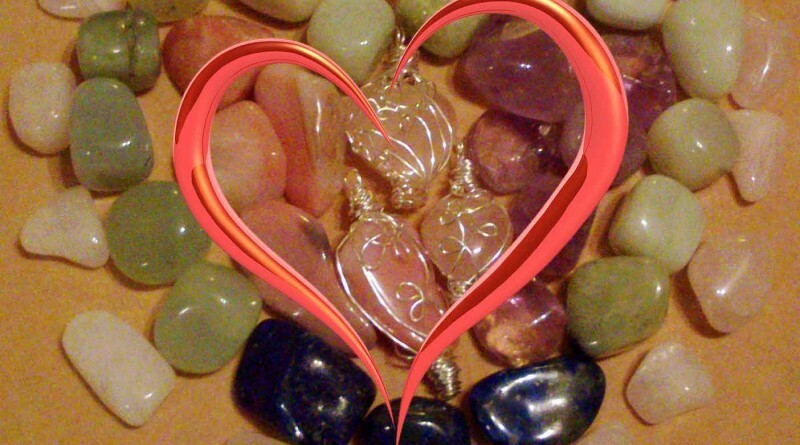 Romantic Rose Quartz is known as The Stone of Love and it can assist you in many ways. You can only attract to yourself, the energy vibrations that you carry inside of you. If you don’t love yourself you can go into many troublesome relationship, until you learn your lesson. 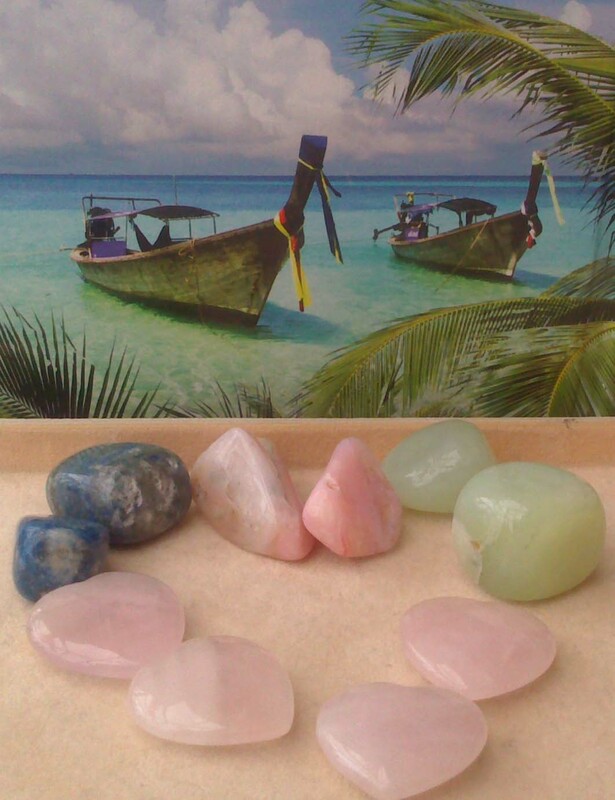 Rose Quartz is an amazing stone, which aids your self-healing, preparing you to love and happiness. 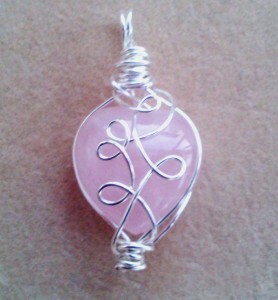 It is a beautiful pale Pink crystal, which is know as The Stone of Love. This gemstone works with your heart chakra. It heals your heart, your past wounds and helps you to receive love and enables you to radiate it towards others too. 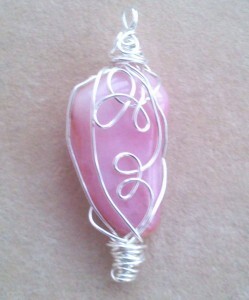 Rose Quartz encourages self-forgiveness, strengthens self-trust and self-worth. If you wish to find love place a Rose Quartz on your bedside table to attract love to yourself. To make it happen faster place two Rose Quartz crystals in the Love corner of your home (Feng Shui – the furthest right corner in your home if you look inside from your front door). If you wish to bring back romance into your existing relationship Rose Quartz will help you to encourage unconditional love, build trust and harmony. To help you find a really unique gift for that special someone I have selected some gorgeous crystals with beautiful vibrations, which you can find in my web shop. I have designed some pendants for this special occasion. Have a browse and choose the one that is close to your heart. Other Gemstones you can use to liven up your relationship. Amethyst is The Stone of Protection. This lovely Violet gemstone is one of the master healer crystals with beautiful vibrations transmuting negative energy into love. It has strong healing and cleansing powers, also raises spiritual awareness. In a relationship it helps to raise the energies of the partnership to a higher vibration. Lapis Lazuli is a gorgeous Blue stone flecked with Gold. 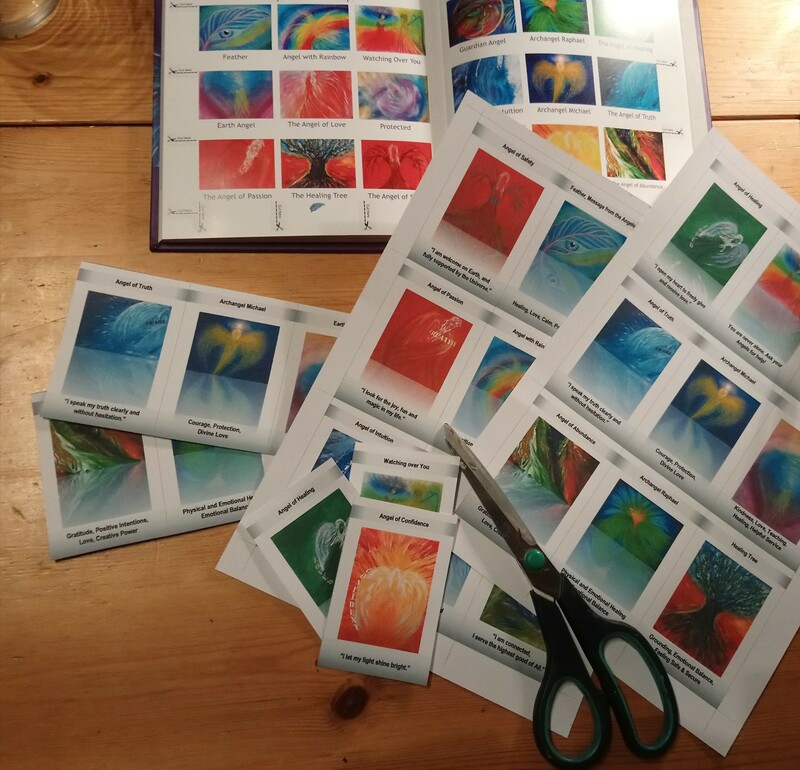 It is great for stress relief. It stimulates enlightenment. 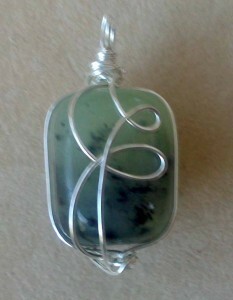 It is a lovely, protective stone, which encourages taking charge of life. It reveals inner truth, brings honesty and compassion into your relationship. New Jade is a beautiful Light Green stone. It is known to attract luck and friendship. Physically it removes toxins from the body and calms the nervous system. Mentally helps realising negative thoughts and soothes the mind. Spiritually assists in recognising yourself as a spiritual being on a human journey. It helps to become who you really are. 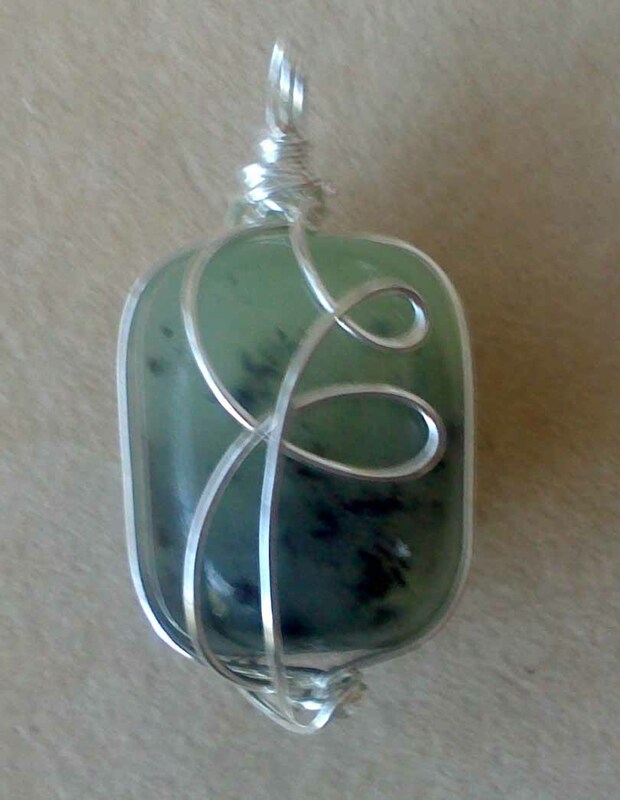 Green Jade can be used to harmonise dysfunctional relationships. Opal is The Stone of Love & Passion. This is a seductive stone, which intensifies emotional states. It aids in accessing one’s true self. It amplifies traits and brings characteristics to the surface for transformation. It enhances self-worth and helps you to understand your true potential. It encourages you to put out positive emotions. When you work with crystals it’s important to have positive intentions. Intentions drive the energy and the crystals raise your vibrations to help you manifesting your desires. So make sure you have positive thoughts, when wearing your crystals. 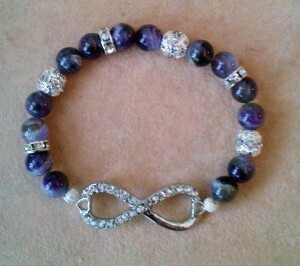 I create healing crystal jewellery so you can keep these wonderful healing stones in your energy field during the day. They are not only beautiful, but very useful too. I hope you enjoy them.